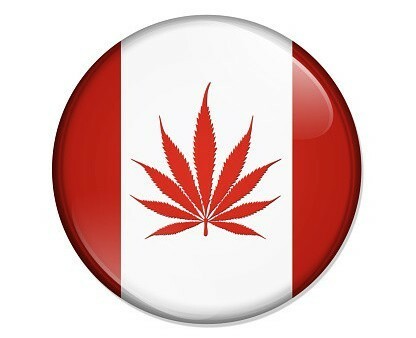 In Canada, demand for cannabis has outstripped available supply. And that’ll keep prices – and profit margins – high. It could even spark a Santa Claus rally for pot stocks. Brother, can you spend a dime? Caterpillar (NYSE:CAT) missed earnings expectations and announced 5,000 job cuts. Home Depot (NYSE:HD) is cutting 7,000 jobs. And Sprint (NYSE:S) plans to ax 8,000 employees. And yet stocks are up today due to a surprise jump in existing home sales for December. They say what doesn’t kill you makes you stronger. I keep that in mind as I watch the Dow Industrials repeatedly test the 8,000 support level. We’ve watched buyers continue to step in at the 8,000 range. That clearly makes this support level stronger. The recent sell-off at Bank of America (NYSE:BAC) failed to send the Dow below 8,000. Today, it’s GE’s (NYSE:GE) turn. Once again, the buyers have stepped in at obvious support levels and sent stocks higher. We’ve identified support for the Dow Industrials at around 8,000. And while the index traded below 8,000 this week, the fact that buyers continue to step in remains one of the few positives for stock prices. The news reported there were 1.4 million people on the Mall to watch Obama get sworn in. And there had to have been that many more in the city. It was nuts. We’re slowly returning to normal today. Once again, the Dow Industrials has confirmed that there is support around the 8,000 level. Yesterday’s bounce marked the 12th time the Dow has bounced as it approached 8,000 since October. Only once has it failed to do so. That was November 20, when it set the low for this bear market at 7,464. No, the U.S. economy is not getting better. It’s getting worse. Daily Profit has been saying that unemployment will go higher and that we will see many more bankruptcies, especially in retail. But that doesn’t mean it’s any easier to take in the bad news. It’s been my contention that oil prices will remain range-bound for the foreseeable future. And the 60 Minutes story I relayed on Monday supports that belief. If oil’s move to $147 was based on more speculation (and manipulation), than it was on true supply and demand issues, then it’s going to be a while before enough demand returns to push oil prices significantly higher. 60 Minutes ran an excellent piece on the run in oil prices from 2005 – 2008. And guess what? It was all Enron’s fault! On Wednesday, after a few down days in a row, we tried to sift through the various clues to decide whether the selling we saw was investors taking some profits, or whether we were seeing the start of a more serious sell-off based on lowered earnings guidance and the prospect of unemployment running higher than the current consensus of 9%. Now, I’m not sure what analysts were basing their expectations on, but it’s clear they were too optimistic. I wonder if investors were as optimistic.